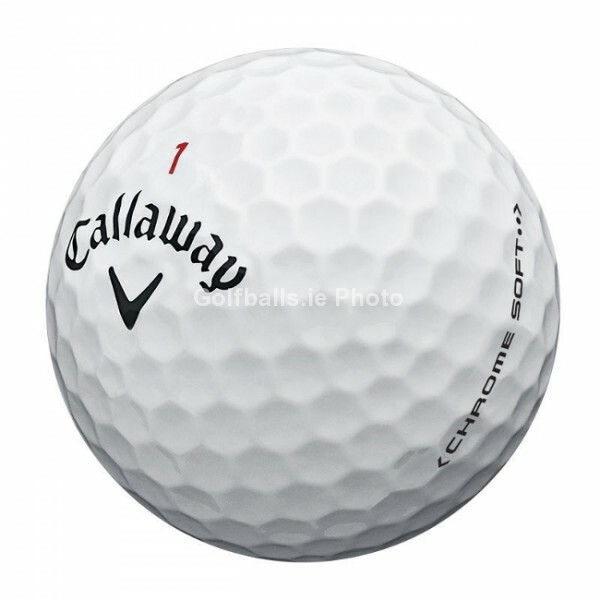 The Callaway Golf Chrome Soft ball features a ground breaking SoftFast core. This advanced design reduces spin and retains energy off the driver to maximise ball speed and distance. Coupled with the optimised HEX aerodynamics, the Chrome Soft is made even longer by reducing drag and increasing lift. The low 65 compression lets you compress the ball on iron shots for incredibly soft feel, and amazing feel around the greens. The SoftFast core allows all golfers to compress the ball like a tour player. Best available used ball on the market. Have both the feel and appearance of a brand new ball. Probably lost after the first hit or two (usually called one hit wonders). May include a small discreet text mark or player ID on the surface. May contain corporate or club logos. Please see sample product images on product page. Narrowly missed out on being graded as pearl. Look like they have been used for a few holes. May have small player marks, minor scuffs or slight discoloration. Still in great condition and suitable for competition play. Are great value for money. Still in a very good playable condition. Will have more marks/scuffs and be more discoloured than our A Grade ball. Looks like a ball that has been used for one round or more. Golfballs.ie is dedicated to providing Irish Golfers with top quality golf balls at fantastic value. We are a family run business, committed to 100% customer satisfaction. We pride ourselves in providing a fast and reliable service to all our customers nationwide.